Frans Padt is Senior Lecturer of Agricultural Economics, Sociology, and Education and Landscape Architecture at the Pennsylvania State University. 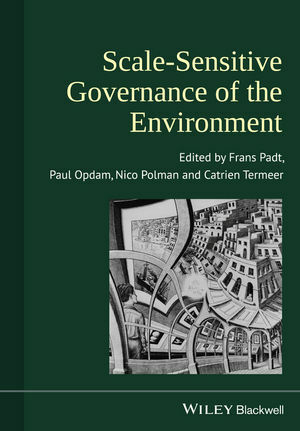 He holds a Ph.D. in Political Sciences of the Environment from Radboud University Nijmegen. Paul Opdam is Professor at Wageningen University and Alterra Research Institute in Wageningen. He has a background in landscape ecology and specializes in collaborative landscape planning with ecosystem services in social-ecological networks. Nico Polman is Senior Researcher at the Agricultural Economics Research Institute (LEI Wageningen UR) in The Hague. He obtained his Ph.D. degree on the thesis titled Institutional Economics Analysis of Contractual Arrangements Addressing Wildlife and Landscape Management on Dutch Farms in 2002. Catrien Termeer is Professor of Public Administration and Policy at Wageningen University. She holds a Ph.D. in Public Administration from Erasmus University Rotterdam.